Our changemakers are committed to promoting educational equity at every level. Join us in finding your path to impact. Applications for our 2020 Fellowships are closing soon. APPLY TODAY! We equip you to lead policy and systems transformation in pursuit of excellent education for all. 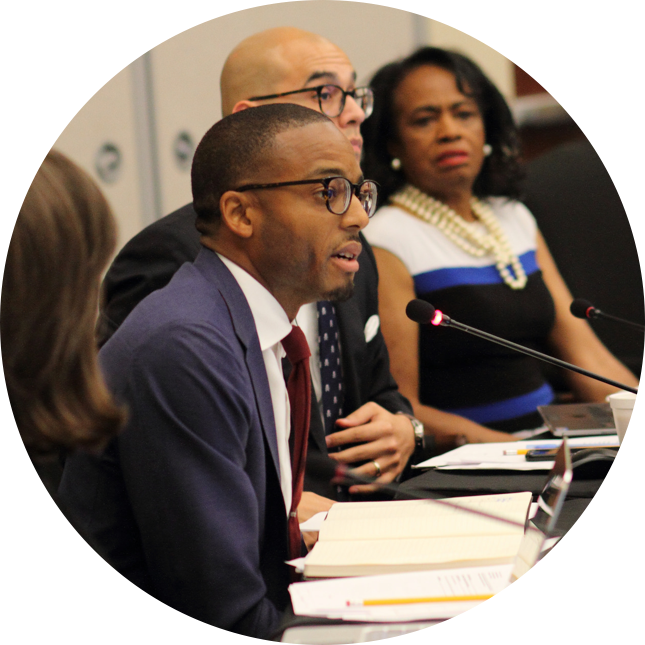 Our Fellowship Programs offer a deep-dive into the work of education transformation and a launchpad into future leadership roles in advocacy and governance. School boards can pave the way for improvements in student outcomes. Our governance training programs prepare you to run, win, and lead effectively from day one. We support policies and practices that repair institutional inequities that exist along the lines of race, language, ability, and income. There are many ways to engage with the causes you believe in. Changing the future of Texas. Currently our work serves the 1.6 million public school students in Dallas, Tarrant, and Harris Counties—representing one third of the children who attend public school in Texas. Join us in ensuring their education provides them a future full of hope an opportunity. YOUR VOICE MATTERS TO KIDS!